FAIRWAYS CLUB contracts' also declared null and void! — Javier Correa. This judgment was issued by Court No. 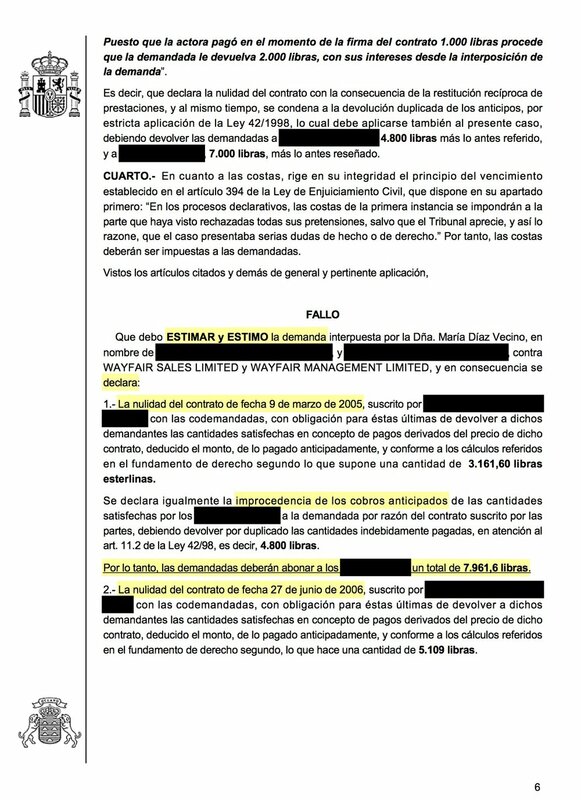 3 of Granadilla de Abona and it declares the nullity of the contracts signed by my clients with the developers and management companies of the "Fairways Club", condemning them to the return of the monies paid by the contract, less the compensation established by the Supreme Court, to the payment of the unduly advanced monies, interests and court costs. The reason why her Lordship declared the null contracts was both the duration of the contractual term and the indeterminacy of its object (floating).